Welcome to GrannysNotes.com, featuring Sue Gerard's books and her weekly column, "Granny's Notes", published from 1994 to 2010. Sue Gerard (1914 - 2010) is famous in mid-Missouri for her "Granny's Notes" -- she has been writing journals and stories about life and history since she was young. Sue Gerard started compiling her memories into books for her children and grandchildren and eventually offered them to the community. Her weekly column in the Columbia Daily Tribune was a success for sixteen years. She published her writing for years, in magazines and newspapers including Reader's Digest, Better Homes and Gardens, Ebony, The Farm Home Journal, and others. The success of her column encouraged her to finally publish a book in 1998, My First 84 Years. 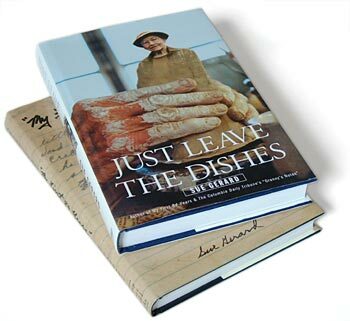 Sue Gerard released her second book in 2002, Just Leave the Dishes, available in bookstores now. If you wish to contact us, click here to send a message.